How To Deal With Weeds. Weeds can fill a number of roles in your garden, with a little know how they can help with, adding moisture, fertilizing the soil, mulching, attracting beneficial insects, or serving as food. Maybe it’s time to see your weeds as a blessing instead of a curse? Weeds, weeds everywhere and not a lot to eat! Or is there? It doesn’t matter where you grow your vegetables, fruit or flowers; at some point you’ll have to tackle the dreaded weeds. The simplest way is to do a little weeding everyday so you get rid of the tiny weed seedlings before they become an issue. Who has time for that?? Camping out 24/7 waiting for the little green heads to pop out of the soil? No thanks, so what do we do? The main problem here is that weeds are very good at growing fast and exactly where the conditions are right. Weeds can literally take over your patch overnight, especially if the ground is damp and it can be completely soul destroying having to start again every time you look at your garden not to mention if you have been on a lovely holiday for a week. That’s great for the bugs and bees but not so much for you. And whatever you do don’t let them seed themselves. Have you heard that one year of seeds brings seven years of weeds? Yip it can take years to ‘weed’ out every last seedling from one years seeds. The can hide in the soil and only grow when conditions are right. So what can we do? • Try to pull out weeds when their small or hoe the tops off when their small and try not to disturb the soil beneath very much or you’ll bring more nasty’s to the surface. • Use a hoe when the weather is warn to chop the tops off the roots. The roots will then dehydrate and die before new shoots can grow. • Mulching your soil with a good layer of material can cut the light to the weeds and stop them germinating. It also keeps the moisture in the soil and can feed your plants depending on what you use. Stone chips, compost, bark chips and even grass clippings all work. Make sure you apply in a thick layer for it to be effective. • Try to only water the plants you want to grow. 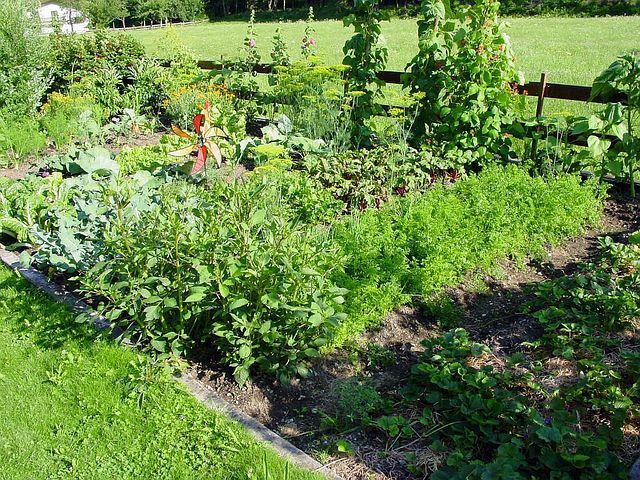 Watering the whole plot will also give weeds what they need to germinate. How do I keep weeds out of my garden naturally? If all else fails and you can’t keep up, here are 4 ways to nip weeds in the bud once you have them. Mulch. Again, layering mulch on your garden soil will help to keep the weeds from seeing the light and stop them growing. Boiling water poured over annual weeds can kill them off. Salt. Used very sparingly, salt can help to dehydrate a perennial root. I like to chop off the top of the weed and dab a little salt on the cut surface. It dries out the root and prevents it from sprouting new leaves. White vinegar is an effective weed killer, but use sparingly. What can you use for a Mulch? We like to re-use our grass clippings so that it rots back into the soil and helps feed the soil. Others like to use composted bark chips, gravel, or straw. Each has its good and bad points. Cardboard and newspaper make a good mulch to block out light, however it breaks down quickly, so we tend to use it under our grass clippings. Another material used often is black weed suppressant membrane. Stretched over an entire area and then plants can be planted through it by making a small ‘x’ shaped cut. Find out what garden tools you need here. What To Do With Your Weeds. 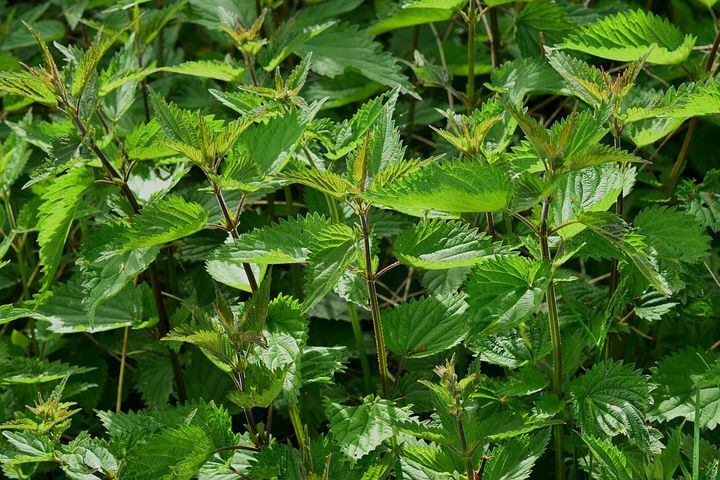 Weeds can be composted So long as they haven’t gone to seed, you can compost the green parts of any weed as the ‘green material’ in your compost but make sure you remove the roots of perennial types. Perennial’s roots and weed seeds can be steeped in a bucket of water for 6 weeks which will break down the structure of the cells and then they can be composted without risk that they’ll regrow. Using weeds like grass, large burdock leaves or dandelion greens as mulches in-between rows is a great idea. I like to top these off with some comfrey leaves too to help cover the soil and help replace important nutrients. Yes you can eat the lion share of garden weeds such as clover, dandelion, cleavers, and nettles. Simply cook them like spinach!! Bonus! Remember to check the weeds in your garden for which ones are edible before you go munching on them. Some weeds aren’t that good to eat, so always check! Dealing with weeds is part of gardening. A weed is just a plant in the wrong place so if you stop seeing them as a problem and start using them it’s a bit easier to deal with. Take a small area at a time and it won’t seem like a huge burden.